Here’s a video of Byron talking about 7 books in 10 minutes. All 20% off. Sometimes I want to highlight a few new books really quickly, without doing my epic blog posts here at BookNotes. We’ve been on the road and we will soon share a bit about the events we served, the people we met, the books we sold, hither and yon. For now, though, enjoy this fun infomercial — my sincere, if brief, announcement of seven new books. This was a one-take, off-the-top-of-my-head, cheap phone video so forgive my stumblings (like when I said we’re making a DVD) and the less than professional lighting. I still think it is pretty interesting, if I do say so myself, so invite you to check it out. I suspect you will be glad to know about some of these books and hope we are giving you helpful information and a bit of bookish inspiration. Who doesn’t like that? For some reason beyond my ken, it could be that for some of you who subscribe to BookNotes, the video clip may not appear or you can’t view it. Just in case, here’s a list of the books I mention, minus the enthusiasm. 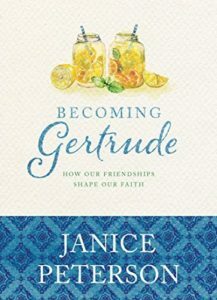 Becoming Gertrude: How Our Friendships Shape Our Faith Janice Peterson (NavPress) $14.99 This is a very special, lovely compact hardback, slim and beautiful, with Jan sharing her stories of being befriended years ago by a Southern neighbor named Gertrude, and how we can enrich our friendships. She offers five elements of deeper relationships and how they are formative for our lives. This first book of hers came out right before her beloved Gene died, so, as I said on the video, it is bittersweet to announce this. Jan is a wonderful lady, a good friend to many, and we hope this book sells well for her, blessing the world with her unique insight. 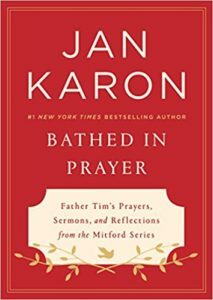 Bathed in Prayer: Father Tim’s Prayers, Sermons, and Reflections from the Mitford Series Jan Karon (Putnam) $20.00 I loved tilting my head a little and noting with a smile just how curiously nifty this idea is: yep, it is a real prayerbook from the soul and writing of a fictional character. I trust you know of the much-loved Mitford series and Father Tim’s sermons and prayers in those novels. Author Jan Karon tells for the first time some of her own story, too, sharing reflections and prayers as well. Pretty nice, eh? Father Tim’s prayers were a blessing to many in fictional Mitford, so why not for you, too. Stranger things have happened. 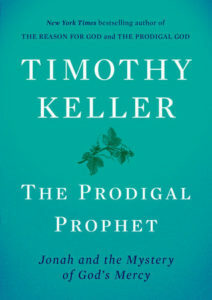 The Prodigal Prophet: Jonah and the Mystery of God’s Mercy Timothy Keller (Viking) $20.00 I trust I don’t have to tell you how much we respect this urbane and thoughtful Presbyterian pastor and thinker. Fortune magazine named him as one of the “World’s 50 Greatest Leaders” and Newsweek suggested he is a “C.S. Lewis for the twenty-first century.” At any rate, this is a nice, brief, engaging study of Jonah. He’s a master at showing the gospel of grace even in the Older Testamented stories and here he offers a provocative thesis suggesting that Jesus had Jonah in mind when he told the story of the Prodigal Son. In this new volume Keller brings questions of race and anger and living with difference and encountering “the other” into play — there was talk about calling it “Jonah and the City” as he reflects on how we love our neighbors well. Highly recommended! 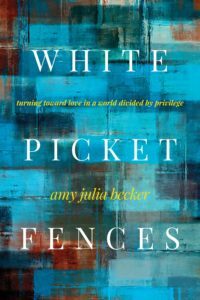 White Picket Fences: Turning Toward Love in a World Divided by Privilege Amy Julia Becker (NavPress) $15.99 I really, really like the word-smithing writing style of this fine author; she has two previous books written as a mother of a special needs child. Here she writes with nuance and grace about the notion of privilege. In my little video announcement I not only assure you how much I like this, but quote from the lovely endorsement on the back from her friend Andy Crouch. 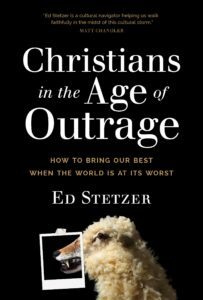 Without shaming or victimizing, Becker considers painful truths and beautiful possibilities for healing the divisions of our present moment. A deeply human book. As a woman who shares many of Becker’s advantages, I’ve been immensely helped, by Becker’s words, to begin believing that God can use our suffering–and our privilege–for good. Whole & Reconciled: Gospel, Church, and Mission in a Fractured World Al Tizon (Baker Academic) $22.99 I spent some of my few moments on the video saying how much I liked Al, name-dropping him as an old friend, great music-lover, a guy who has visited our store. 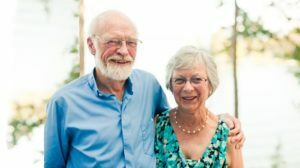 He used to work with Evangelicals for Social Action and here channels a 21st century sort of vision, drawing on his early friendship with Ron Sider and the wholistic “word and deed” Kingdom theology of Lausanne to offer a vision of whole-life discipleship, an exhortation for all of us to work for the reconciliation of a broken world. It carries endorsements by important voices such as Christopher J.H. Wright (of John Stott’s Langham Partnership) and the current director of ESA, Nikki Toyama-Szeto, and his North Park colleague Soong-Chan Rah. A wonderful forward is by Ruth Padilla DeBorst and his old boss Ron Sider has a very good Afterword. 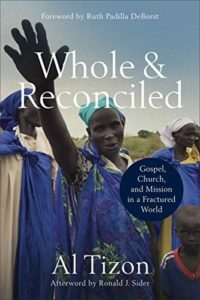 Whole & Reconciled is one of the great books of 2018 and we highly recommend it. Connections: A Lectionary Commentary for Preaching and Worship – Year C, Volume 1 edited by Joel Green, Thomas Long, Luke Powery & Cynthia Rigby (Westminster John Knox) $45.00 I suggested in my little pitch in the video that this is in the tradition — almost a sequel — to the multi-volume series for lectionary preachers called Feasting on the Word. It is a bit different, though, offering a diverse world of scholars, teachers, and preachers, to weigh in on how the given lectionary text is connected to the bigger Biblical story (the Scriptural connection, placing the text in conversation with the meta-narrative and the unfolding context of the story of God) and on how the text can be related (connected) to the issues of the day. I like these connections offered, making this a useful tool for preachers and educators. 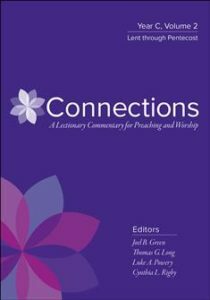 Further, it offers worship resources for coherent worship planning inspired by the connectivity of the text that Sunday. Very nicely done. Blurbs on the back include high praise from Barbara Brown Taylor, Walter Brueggemann, Donyelle McCray (of Yale Divinity School) and Duke’s famous preacher and author Richard Lischer. If you can’t see this video (which hopefully shows up on your device) visit our Hearts & Minds facebook group, or my own facebook where I know it works. Happy viewing and book-buying.